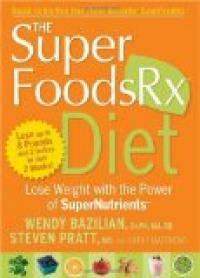 The Superfood RX diet is a revolutionary two-phase plan developed by Dr. Steven Pratt and Kathy Matthews. This article explores the basics of the diet and how you can incorporate it in your lifestyle. One of the most unique aspects of the Superfood RX diet is that it focuses on the addition of foods to your diet instead of the elimination of foods from your diet. This one point helps to solve one of the biggest issues many people have with dieting: feeling deprived. What Affects Potassium Supplement Absorption? Here are a few other points you'll want to know about the diet. The SlimDown - This first part of the diet is the weight loss portion and will last as long as necessary in order for you to shed the pounds. The FlexPlan - After you've lost the weight, you'll need to begin maintaining, which isn't always easy. Follow the FlexPlan to make it a little easier. Rather than pre-made or frozen meals and chalky shakes, Pratt and Matthews want you eating real, whole food in order to lose your weight and keep it off. The diet is named for this list of powerful foods, which are heavily emphasized in the eating plan. The foods are listed below, organized by group. These foods are high in fiber and nutrients and are believed to promote weight loss and brain function, which can help you make better food choices. Nearly all diets are really just a lifestyle change. Most of the popular diets today promote healthy food choices, moderation, and some element of calorie restriction, while also incorporating exercise into your daily routine. Here are a few tips for how you can swap out your typical foods for these "super" choices. Meat Substitutions - Replace beef and lamb with ground turkey in your favorite recipes. Consider also substituting non-meat options like tofu or beans. Vegetables - Incorporate the "super" vegetables into your diet in salads, casseroles, or by eating them raw as a snack. Raw vegetables tend to contain more fiber and vitamins bite for bite. Also, consider using avocado as a sandwich filler instead of meat. 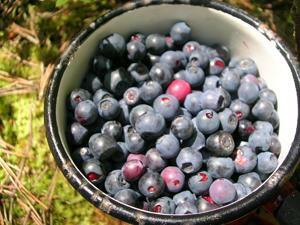 Fruits - There are so many ways to incorporate these great fruits into your diet. Also, consider the dried fruit versions of these foods. This program emphasizes a fitness routine that works with your daily schedule and your lifestyle preferences. As with most things, if you don't enjoy it, you probably won't stick with it. Choose an activity you enjoy. If the gym isn't for you, consider taking up running, walking, or biking. The more physically fit you become, the more you will probably like doing it. Many individuals who've followed this plan tout its additional benefits, the ones above and beyond their initial weight loss goals. While weight loss is the overarching goal, these other purported benefits were a pleasant surprise for those who experienced them. For more information about this "super" diet, visit SuperfoodsRX.com, as well as Dr. Pratt's blog.